Nike: Just buy it | Pulitzer Prize Winner Cynthia Tucker | Journalist. Professor. Progressive. Nike didn’t wait for Super Bowl LIII to debut its most powerful — and controversial — commercial. Its most recent ad campaign has already sparked outrage, with some consumers setting their sneakers on fire and posting pictures on social media sites. 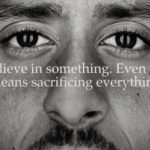 The cause of the combustion is the athlete at the center of the campaign: former NFL quarterback Colin Kaepernick, best known for starting the quiet sideline protest of dropping to one knee during the singing of the national anthem before the start of the game. He has said that he wanted to draw attention to continuing social injustice, including police shootings of unarmed black men. 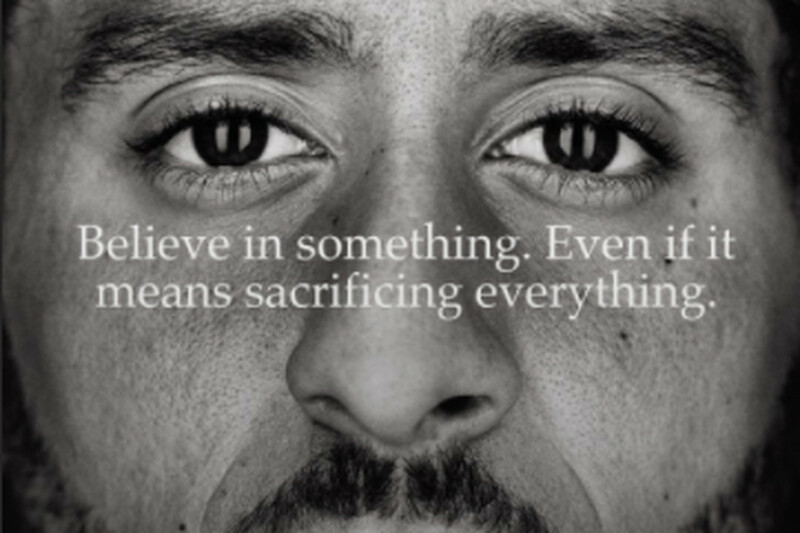 Unlike Kaepernick, Nike didn’t do this because the company’s officers are especially brave or “woke.” While its stock was down a bit right after the announcement of Kaepernick’s role, most financial analysts expect that the sports apparel company’s bottom line will benefit from its association with him. Its customer base skews toward consumers of color who are likely to support the athlete’s socially conscious gestures. According to TMZ Sports, “African Americans, Hispanics and Asians are more strongly represented in Nike’s consumer base than they are in the U.S. population.” Equally important, its sales depend on younger adults, not baby boomers with bad knees. TMZ says, “18-to 34-year-olds comprise thirty percent of the U.S. population, but they represent a whopping forty-three of Nike buyers.” In other words, the company doesn’t see its future in the purchasing power of older whites. It is that demographic that has been most angered by the sideline protests of black athletes, insisting that they are showing disrepect for the flag and for veterans. That’s just nonsense. Heaping baskets of words have already been spilled on this topic, but I remain vexed by the inability of so many Americans to understand what the flag stands for. When U.S. soldiers — black, white and brown, Christian, Jewish, Muslim and atheist — give their lives on the battlefield, they do so in defense of values which include the right to protest social injustice, the right to criticize the government, the right to speak truth to power. There is nothing new in this misunderstanding of patriotism. The American flag was long ago co-opted by a particular strain of conservative — the blood-and-soil nationalist who believes that the nation’s true heritage is Western European and its national religion Christianity. It’s no coincidence that so many conservative Christian churches fly the U.S. flag inside their sanctuaries. It’s also true that the protests of black athletes, which have taken on a life of their own as NFL players and owners spar over what is appropriate, would not loom so large in our culture wars were it not for President Donald J. Trump, who has continually stoked the flames of reaction. Whenever the president has a bad week — and most of his weeks have been bad since special counsel Robert Mueller started his investigation into Russian interference in the election — he reaches for gestures that appeal to his base. Denouncing black professional athletes is red meat for his supporters, a group already resentful of social and cultural change. Ah, not so much. While I’m not often moved by advertising, I’ve already bought a couple of pairs of Nikes I didn’t need since first viewing the campaign a few days ago. More important, I’m buying a couple of pairs for my 9-year-old. She’s the customer Nike really wants to cultivate.